High Ratio Mortgage vs Conventional Mortgage, which will save you more money? For the most part, yes, as would I, however I did some calculating and believe it or not, if you are putting down exactly 20% on your purchase or even as high as 23% down payment on your home.....actually, let me quickly explain what a High Ratio Mortgage is for those who may not know what it is. High Ratio Mortgage - means when you purchase a home you are putting less than 20% downpayment and as little as 5% towards the purchase price of a home and that means the Financial Institution needs to protect themselves with Mortgage Default insurance in the event the buyer misses a payment. Basically they are getting insurance for themselves however the cost is passed on to you and typically added to the mortgage. This is across the board. The premium ranges anywhere from 2.5% to over 3%, depending on the downpayment amount. Back to my point....numbers don't lie and Halloween has past so this isn't a trick. This is me simply coming up with a way to save you a lot of money. As you will see from the screen shot below, there is a huge difference in the interest paid over the 5 year term. 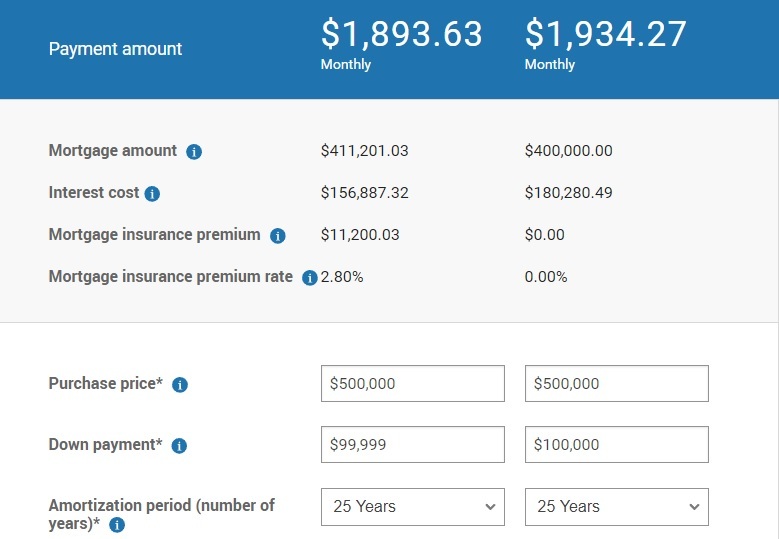 As you can see, not only are the payments less, but the interest cost over the term is a savings of over $12,000, and another $2,000 in payments for a total of $14,000. 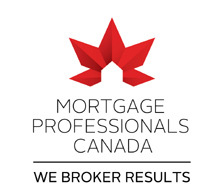 Having one of the top producing mortgage teams in Canada gives us perks with many lenders and in this case, we have been given a HUGE discount for our clients. If you have less then 20% or if you are around the 20% ballpark....contact me and let's save some money.